^ FAQ. OpenStreetMap Wiki. [2014-08-09] （英语）. ^ 5.0 5.1 OpenStreetMap為數以百計的網站、行動app與硬體設備，提供地圖資料. [2014-08-08] （中文（台灣）‎）. ^ 6.0 6.1 Frederick Ramm, Jochen Topf, Steve Chilton. OpenStreetMap: Using and Enhancing the Free Map of the World. UIT Cambridge. 2011 （英语）. ^ OpenStreetMap Statistics. www.openstreetmap.org. [2019-03-16]. ^ 9.0 9.1 Mata, Raj. Yahoo! Maps APIs Service Closure Announcement – New Maps Offerings Coming Soon!. Yahoo! Developer Network. 2011-06-13 [2012-02-25]. （原始内容存档于2011-06-23） （英语）. ^ Batty, Peter. Oxford University using OpenStreetMap data. Geothought. 2007-12-03 [2011-04-16] （英语）. ^ Fairhurst, Richard. Cycle map on your GPS. Système D. 2008-01-13 [2011-04-16] （英语）. ^ Technology News, Analysis, Comments and Product Reviews for IT Professionals. ZDNet. 2014-07-31 [2014-08-09]. （原始内容存档于2015-10-02） （英语）. ^ Websites Bypassing Google Maps Due to Fees. WebProNews. 2012-03-20 [2019-03-16] （美国英语）. ^ Ingraham, Nathan. Apple using TomTom and OpenStreetMap data in iOS 6 Maps app. The Verge. 2012-06-11 [2019-03-16]. ^ Richard Fairhurst. The licence: where we are, where we’re going. OpenStreetMap blog. 2008-01-07 [2014-08-09] （英语）. ^ 林誠夏. 從開源軟體到開放資料－論Open Database License v1.0. 2012-10-20 [2013-03-21] （中文（台灣）‎）. ^ Harry Wood. Automated redactions complete. [1 October 2012]. ^ State Of The Map 2007. OpenStreetMap. [2014-08-09]. ^ State Of The Map 2008. OpenStreetMap. [2014-08-09]. ^ State Of The Map 2009. OpenStreetMap. [2014-08-09]. ^ State Of The Map 2010. OpenStreetMap. [2014-08-09]. ^ State Of The Map 2011. OpenStreetMap. [2014-08-09]. ^ State Of The Map 2012. OpenStreetMap. [2014-08-09]. ^ State Of The Map 2013. OpenStreetMap. [2014-08-09]. ^ State Of The Map 2014. OpenStreetMap. [2014-08-09]. （原始内容存档于2014-11-13）. ^ State Of The Map 2016. OpenStreetMap. [2015-10-11]. ^ State of the Map 2017. 2017.stateofthemap.org. [2019-03-12]. ^ State of the Map 2018. 2018.stateofthemap.org. [2019-03-12]. ^ State of the Map 2019 - Heidelberg. 2019.stateofthemap.org. [2019-03-12]. ^ Import/Guidelines. OpenStreetMap. [23 March 2015] （英语）. The import guidelines, along with the Automated Edits code of conduct, should be followed when importing data into the OpenStreetMap database as they embody many lessons learned throughout the history of OpenStreetMap. Imports should be planned and executed with more care and sensitive than other edits, because poor imports can have significant impacts on both existing data and local mapping community. ^ Key and More Info. OpenCycleMap. [2014-12-14] （英语）. ^ Vines, Emily. Esri Releases ArcGIS Editor for OpenStreetMap. Esri. 2010-07-06 [2014-12-14] （英语）. ^ Stats. OpenStreetMap Wiki. [25 May 2014]. ^ Wood, Harry. 1 million OpenStreetMappers. OpenGeoData. [2014-12-12] （英语）. ^ Neis, Pascal. The OpenStreetMap Contributors Map aka Who's around me?. 2013-01-06 [2014-12-14] （英语）. ^ Stats - OpenStreetMap Wiki. 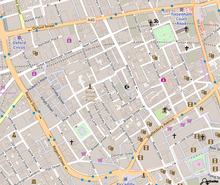 wiki.openstreetmap.org. [2019-03-16]. ^ FoxtrotGPS hompage. [2014-12-12] （英语）. ^ FoxtrotGPS in Debian. [2014-12-12] （英语）. ^ Emerillon in Debian repositories. [2014-12-12] （英语）. ^ Emerillon homepage. [2014-12-12] （英语）. ^ Filney, Klint. Out in the Open: How to Get Google Maps Directions Without Google. Wired. 2013-11-11 [2014-12-12] （英语）. ^ Digital Help for Haiti. The New York Times. 2010-01-27 [2014-04-15] （英语）. ^ Forrest, Brady. Technology Saves Lives In Haiti. Forbes.com. 2010-02-01 [2014-12-12] （英语）. ^ Turner, Andrew. World Bank Haiti Situation Room – featuring OSM. 2010-02-03 [2014-12-12] （英语）. ^ Batty, Peter. OpenStreetMap in Haiti – video. 2010-02-14 [2014-12-12] （英语）. ^ WikiProject Haiti. OpenStreetMap Wiki. [2010-02-05] （英语）. ^ OSM Marks the SpotHaitians use a crowdsourced map to chart their own country, and its development. medium.com. ^ OSM 2012 Mali Crisis wiki page. [2014-12-12] （英语）. ^ Out and about in Yogyakarta, Indonesia: An OSM workshop sponsored by the World Bank. [2014-12-12] （英语）. ^ Preventative Mapping in Uganda with the Red Cross. Humanitarian OpenStreetMap Team. [2014-12-12] （英语）. ^ Licence/About The Licence Change - OpenStreetMap Foundation. 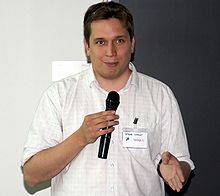 wiki.osmfoundation.org. [2019-03-29]. ^ Fairhurst, Richard. The licence: where we are, where we're going. OpenGeoData. 7 January 2008 [2014-12-12] （英语）. ^ Simon Poole. OSM V1 Objects ODbL acceptance statistics. [2014-12-12] （英语）. ^ Harry Wood. Automated redactions complete. 2012-07-26 [2014-12-12] （英语）. ^ Coast, Steve. Yahoo! aerial imagery in OSM. OpenGeoData. 2006-12-04 [2014-12-14] （英语）. ^ Coast, Steve. Microsoft Imagery details. OpenGeoData. 2010-11-30 [2014-12-14] （英语）. ^ Community licence. NearMap. [2014-12-14] （英语）. ^ Around the world and back again. blog-flickr.net. [7 November 2008]. ^ More cities. blog-flickr.net. 2008-10-30 [2014-12-14] （英语）. ^ Waters, Tim. Japanese progress in osm. Amazing stuff!. thinkwhere. 2008-09-16 [2012-02-25]. （原始内容存档于2011-07-22）. ^ Ingraham, Nathan. Flickr is Now Using Nokia Maps. The Verge. 2012-06-29 [2014-12-14] （英语）. ^ Foursquare Blog. Blog.foursquare.com. 2012-02-29 [2014-12-14]. （原始内容存档于2013-09-12） （英语）. ^ Cooper, Daniel. Craigslist quietly switching to OpenStreetMap data. Engadget. 2012-08-28 [2014-12-14] （英语）. ^ Raphael, JR. 'Monopoly City Streets' Online Game: Will Buying Park Place Be Any Easier?. PC World. 2009-09-08 [2014-12-14] （英语）. ^ Monopoly game launches on Google. BBC Online. 2009-09-09 [2014-12-14] （英语）. 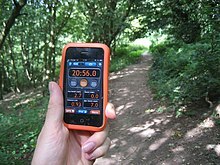 ^ Moovit online trip planner. Moovit.com. [2014-12-14] （英语）. ^ World of the Living Dead Resurrection Expands Closed Beta. StrategyInformer.com. [2014-12-14]. （原始内容存档于2014-01-06） （英语）. ^ Sometimes you have to kill something to bring it back to life. World of the Living Dead Developer Blog. [2014-12-14] （英语）. ^ Mapping the zombocalypse: from Google to Open Street Maps. World of the Living Dead Developer Blog. [2014-12-14] （英语）. ^ Maria S. Smarter Fleet Management with Geotab’s Posted Road Speed Information. Geotab. 2013-10-08 [2014-12-14] （英语）.